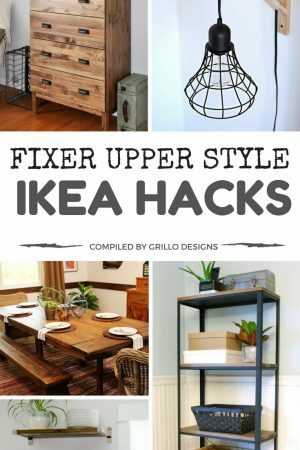 Join over 10,000 fans and get our DIY posts in your inbox every week! 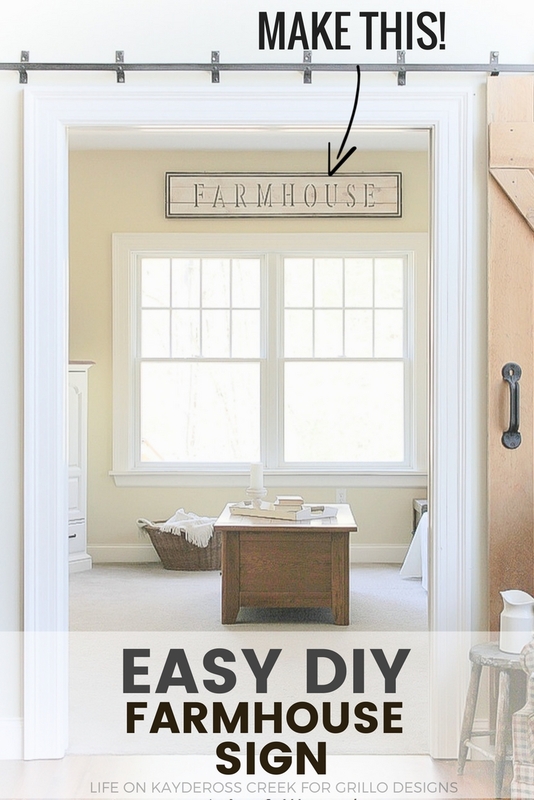 cCreating a Farmhouse sign is the perfect way to add that touch of Fixer Upper charm to your home. Get the tutorial here! Hi! I’m Colleen from Life on Kaydeross Creek and I’m so excited to be here on Grillo Designs today to share my project with you! I love adding unique pieces to my home and one way to do that is with cool wall décor. 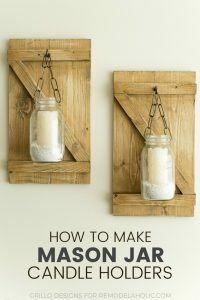 I’m a huge fan of farmhouse decor so what’s more perfect than adding some character with a DIY farmhouse sign? It’s much easier than you think! Stencils (size according to what size your background is) – you can always make your own stencils too! The cool part is since you are DIY’ing (yes, that is a word 🙂 ), you can make it any size you’d like. For my project, I wanted the wooden sign to fit centered above a set of windows which are 83″ across including the trim. We made the sign 61 inches so that we would have about 11 inches on either side – that’s 154cm long! 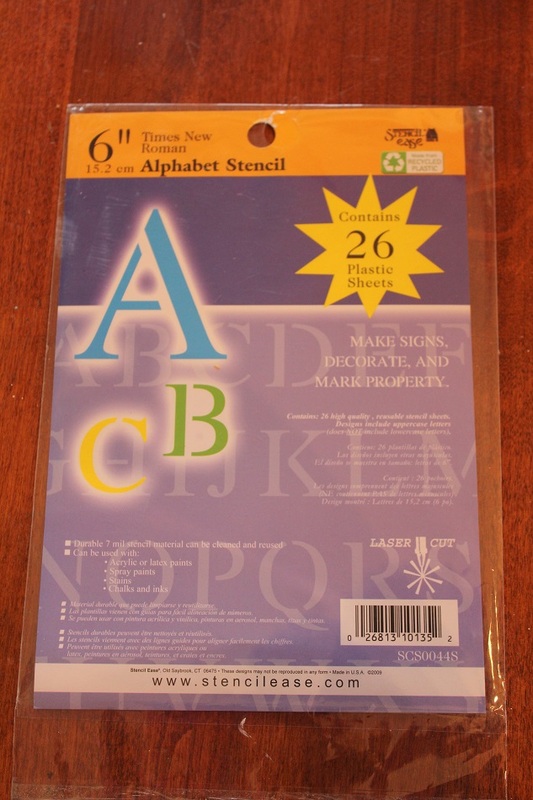 *Tip – you can pick up a pre-made sign at Michaels or other craft store if you want to skip this part. 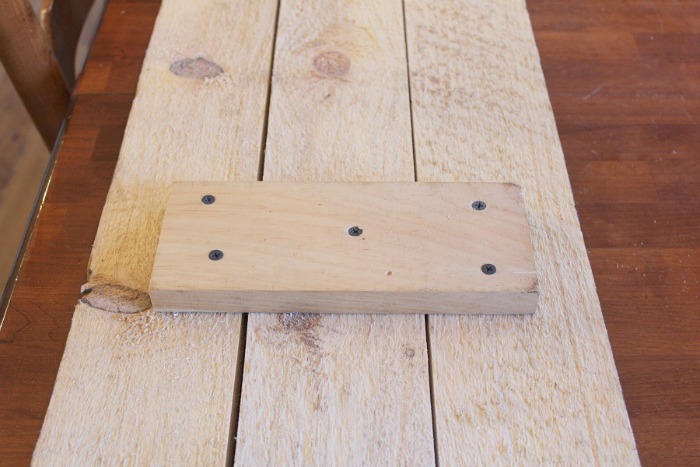 Once we attached the pieces together on the back using three pieces of scrap wood with one in the middle and one on each end, this DIY farmhouse sign was ready to go. OK, on to the paint. I wanted this sign to feel antique-y (also a word) and I thought I could create that look by adding a faded boarder around the edges. I used painters tape to make straight lines. To get the faded look, I mixed some inexpensive black craft paint with a bit of brown and a tiny bit of water to thin it out. I used my stencil brush to apply it. 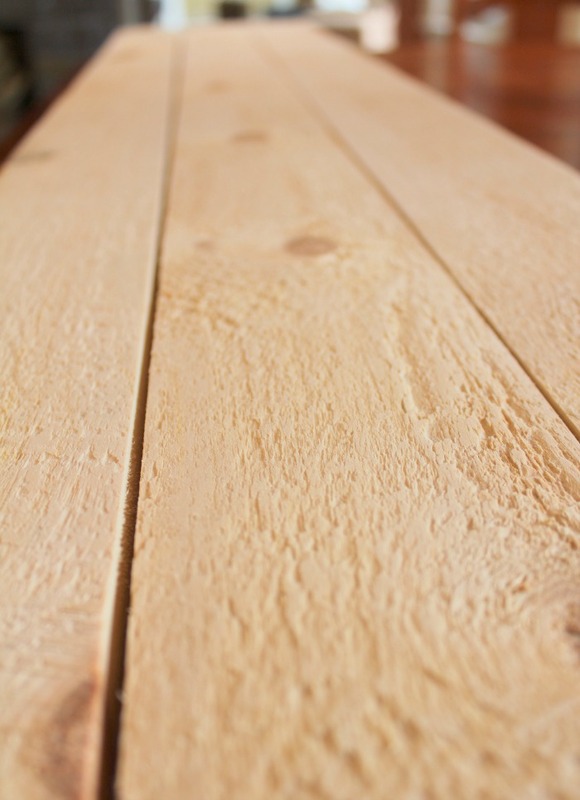 By using just a a small of paint on the stencil brush it helped to keep the paint on top of the wood instead of soaking into it. That also helped it to look faded. Once the first line was done on the outside I added the second line and then removed the tape. 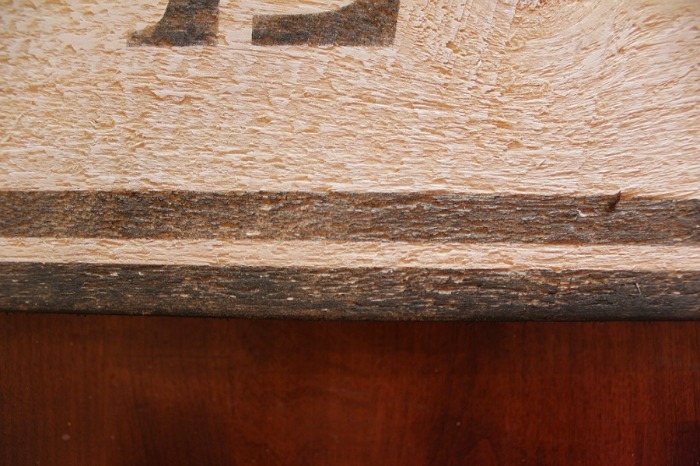 The key to spacing the letters evenly across the wood (or as evenly as possible) is to measure from the widest point on the letter to the widest point on the next letter. 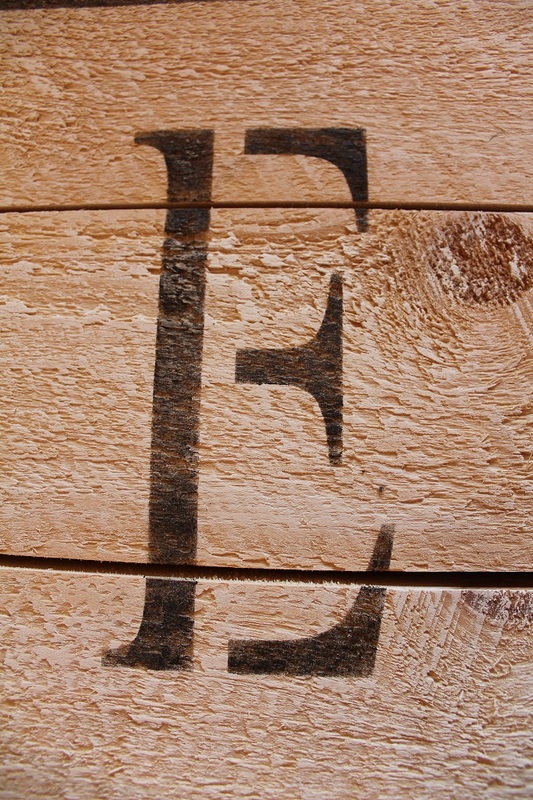 Each letter should be approximately the same distance apart. This takes a bit of adjusting. 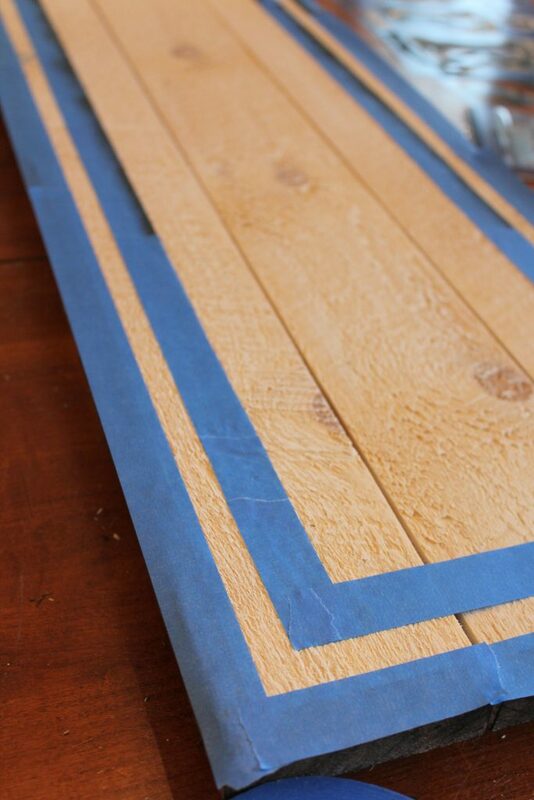 Once you have them where you want them, use the painters tape to stick them to the wood while you are stencilling so they don’t move. Once the letters were done, we added “D” ring hangers on the back to hang it on the wall. 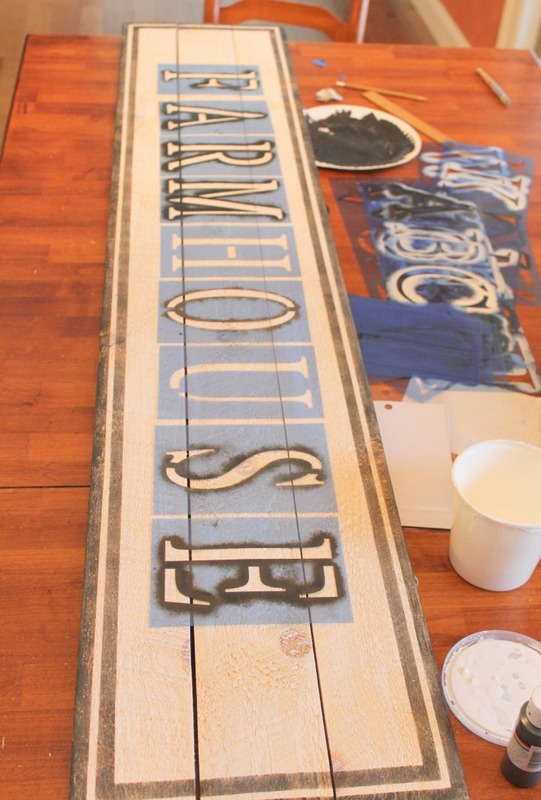 I really love the way this farmhouse sign came out. 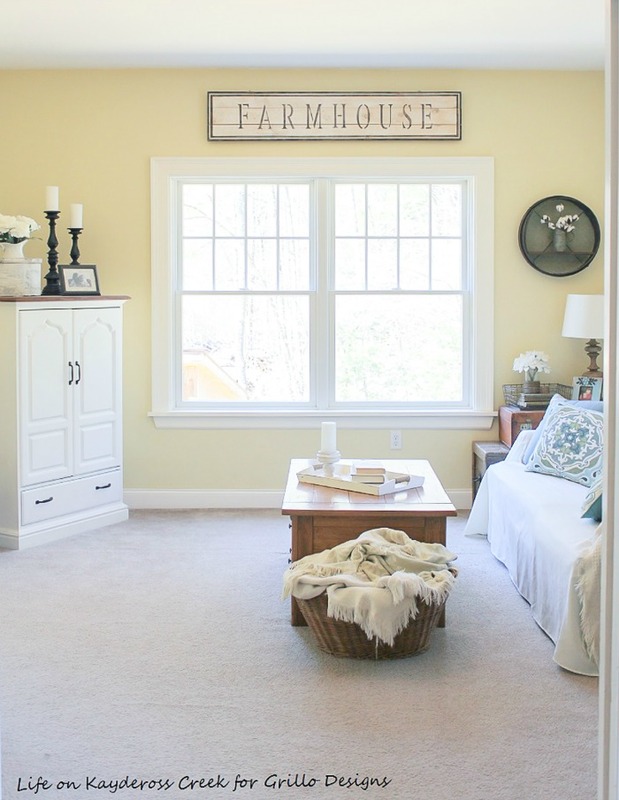 It’s the perfect size for above the window and adds that farmhouse character I was looking for. What’s so great about doing this yourself is you create exactly what you want and something that is truly unique for your home. It doesn’t have to be perfect, just perfect for you. 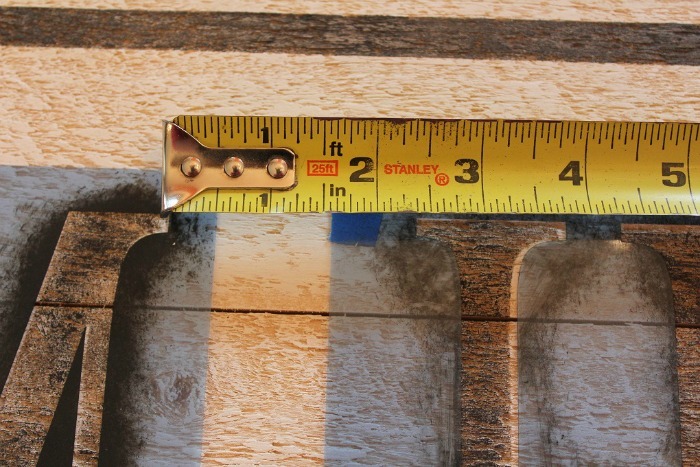 The round shelf was another farmhouse wall décor project and you can see that here. Thanks for spending some time with me today and thanks to Medina for having me over at Grillo Designs! 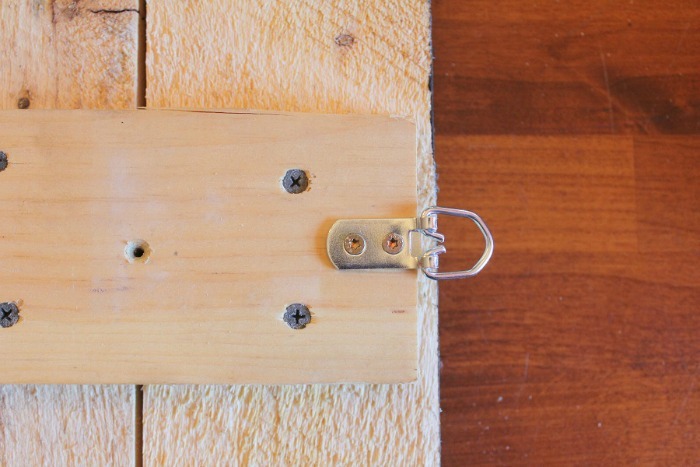 For more great wall decor and other projects, stop by and see me over on my blog! 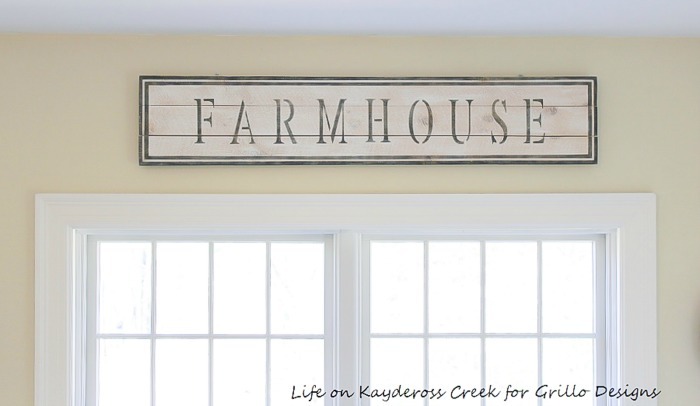 Gosh, this farmhouse sign is so cute! I can’t wait to try and make one. Love the tutorial. Thank you! Thank you so much, Carolann! 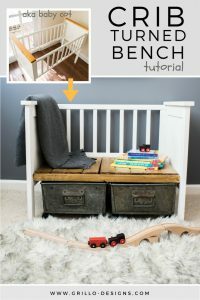 Such a cute sign and a great tutorial. Thanks! I'm so glad you're here. Have we officially met? 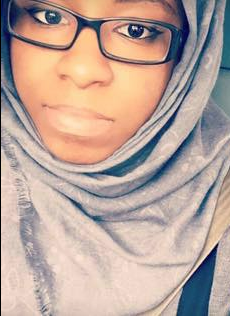 My name is Medina and I am an IKEA loving , Upcycling junkie, DIY passionate , home decor crazy, renter, mother and wife. A mouthful huh? I love it when you share! Please keep in mind that all images and text on this site are property of Grillo Designs. Feel free to use one or two photos provided that a link back to my original post is included. Please do not remove any watermarks, crop, or edit any of my images without first obtaining written permission from me. Pinning is always welcome and appreciated! Thank you!